Students are told over and over again that the key to effective communications is storytelling. The IABC Hearts Students professional development event exemplified this practice. The event was held at The Taproot, a new meeting space above The Root Cellar in the Old East Village, and was structured to enable experienced communications professionals and students to share their stories and learn from one another. Jeff Pastorius, Co-owner of On-The-Go Organics and The Root Cellar, opened the evening with a heartfelt talk about how his business has grown over time. Jeff started On-the-Move Organics out of his apartment and made deliveries using a bicycle. 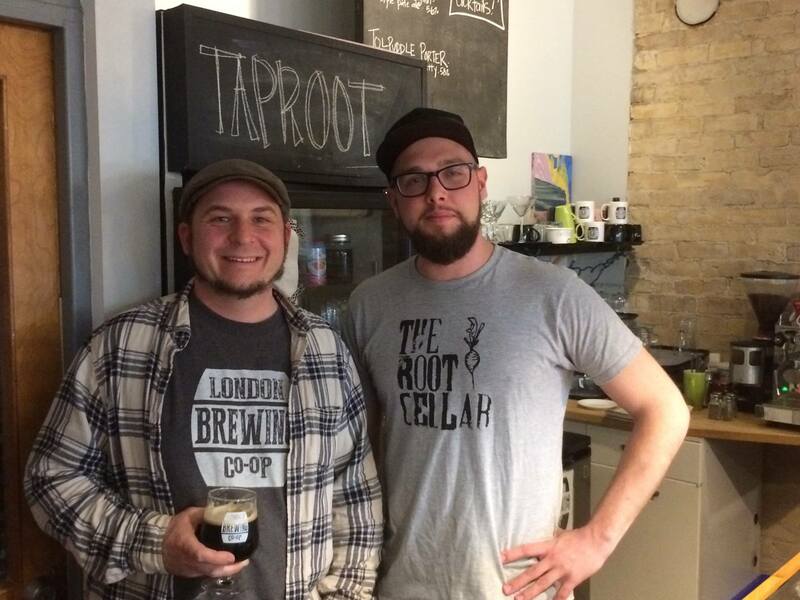 Since then, he has played an integral part in opening The Root Cellar, an organic restaurant serving local farm-to-table cuisine, and The London Brewing Co-Operative, a local micro-brewery. When opening The Root Cellar, Pastorius and his team knew they wanted to build something for their community. They fostered a culture of willingness, activism, and intentionality. “People from all different income brackets and social demographics are welcome,” said Pastorius, noting that “community integration” was a priority for the restaurant. Much like communications professionals, The Root Cellar team had to leverage their resources to achieve success. This applied to everything from reaching out to community members to making juice out of vegetables that may have lost their crispness. Pastorius’s story was humble, heartfelt, and compassionate. He attributed much of his success to his community and his network, making sure to mention his partner, sister, mother, friends, and extended family. “There’s only so many people we can chat with,” he said, noting that word of mouth and social media are essential to the various co-operative organizations he is a part of. When Pastorius concluded, the floor was opened for networking. 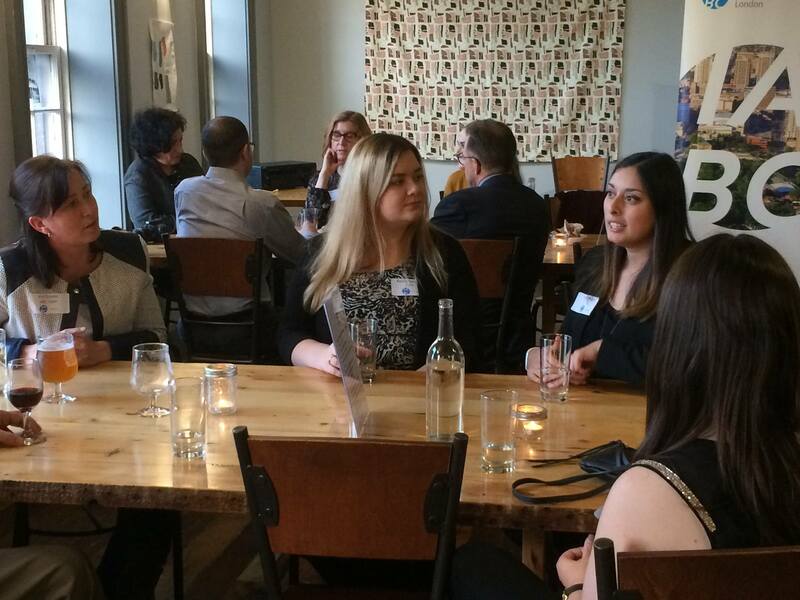 The intimate setting allowed students and professionals to really get to know each other. Students traveled from table to table hearing the stories of local professionals, some of whom had over 20 years of industry experience. The students were surprised to find that the professionals were interested in hearing their stories as well. Advice was given on both sides and it became clear how much the communications field has changed. Students were amazed to hear stories of job hunting via phone book rather than LinkedIn or Indeed. The power of networking was brought up time and again. Students were encouraged to accrue a breadth of experience when starting out so that they could figure out what was right for them while also growing their network and gaining experience. They were also given advice on resume formatting, and job seeking. Many of the students in attendance will be graduating in a few weeks. This event was an excellent kick-off to their careers in communications.